WHS journalism students pose for a photo after the awards ceremony at Missouri Interscholastic Press Association’s 50th Annual Journalism Day on March 25 at the University of Missouri - Columbia. 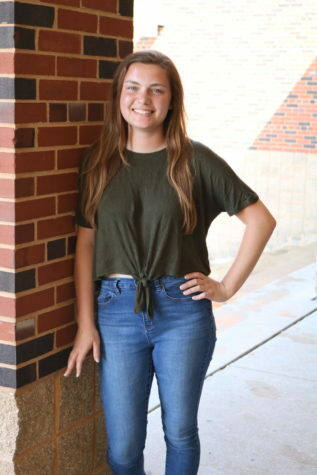 “I think [winning awards] just shows how hardworking we all are and that we’re actually in class doing stuff every day,” junior and Blue Jay Journal staff member Megan Duncan said. “...It’s just really rewarding, and it’s so nice when we can win, and everybody’s just happy about it.” The yearbook, newspaper and broadcast programs won a total of 35 awards. 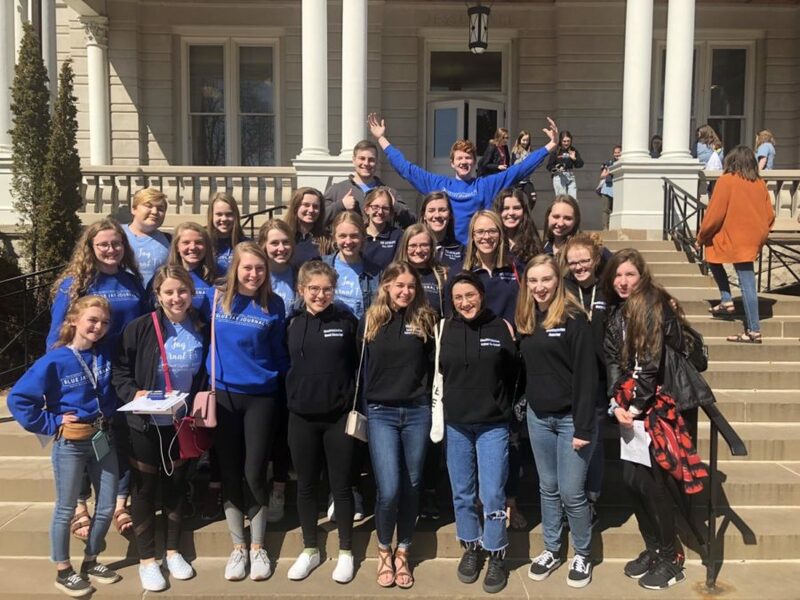 Twenty-five journalism students from the yearbook, newspaper and broadcast programs attended and competed at the Missouri Interscholastic Press Association’s 50th Annual Journalism Day on March 25 at the University of Missouri – Columbia. Students spent the day attending sessions about various aspects of journalism with peers from all over Missouri. As the students attended sessions with their fellow journalists, they gathered new information and ideas from speakers to bring back to their own publications. The event also included contests that critiqued the students’ submitted work, which ranged from broadcast commercials to yearbook layouts. Judges then gave out awards for the students’ work, 35 of which went to WHS journalism programs. 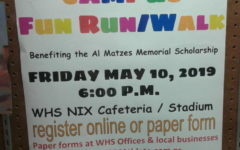 Six of these achievements were All-Missouri, the highest possible award, including one for Newman’s yearbook theme and overall concept. The publications’ awards positively impacted other student journalists as well, including Duncan, who contributed to several of the Blue Jay Journal’s 15 awards. Along with optimistic classroom attitudes and a renewed sense of purpose, MIPA’s awards also gave students the opportunity to reflect on their past work and accomplishments.